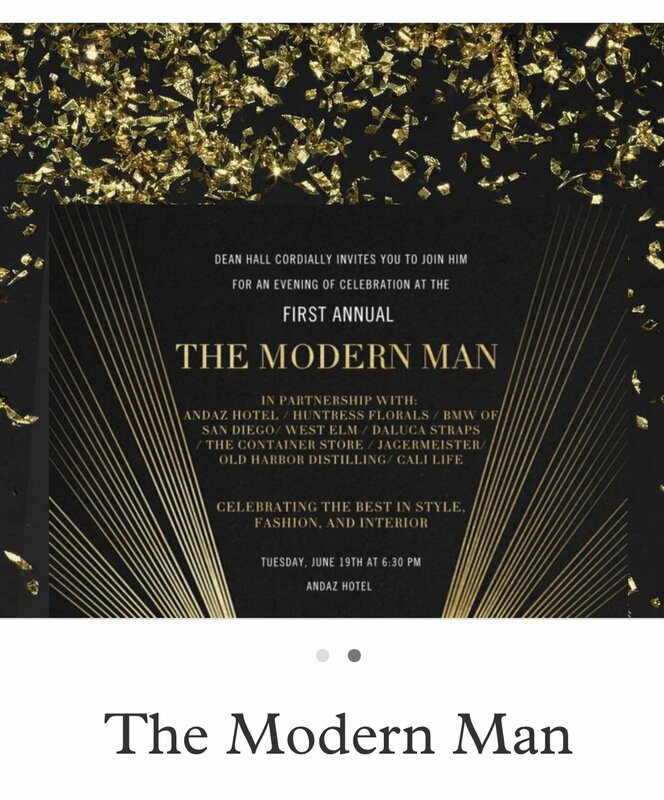 The first annual The Modern Man is one event you won’t want to miss. An evening celebrating style, fashion, and interior design. Guest willl be treated to an evening of specialty cocktails courtesy of Jagermeister and Old Harbor Distilling as well as lite bites. There’s going to be a larger than life floral display, some amazing fashion vendors, and I’ll be putting together an art installation of what every man should have in his wardrobe. As if the night couldn’t get anymore amazing you’ll also be able to sign up for a ride in the new 2018 I-8. The most important part of being a Modern Man is being philanthropically aware so we’ve teamed up with California Protons to receive 100% of the auction proceeds will go to a fund for men who don’t have sufficient health insurance to fight prostate cancer.